We all have had one teacher who inspired us to become who we are today and more than one who made us hate many subjects. Teachers have shaped millions of lives. There are many research studies (like this and this) which have established teachers' role in child's learning as one of the most important factor. There's no doubt about the importance of teacher in our education system. But the harsh reality is that more than 11 lakh teachers are untrained in India and to make matters worse we have shortage a million teachers (source). In old city area of Hyderabad where we have been working for past 5 years, we have seen many teachers who are just 10th or 12th pass. While the teachers are putting incredible amount of hard work (even though they are paid meager salaries), the bitter truth is that the quality of output has been poor. Same rote learning has been going on for generations. 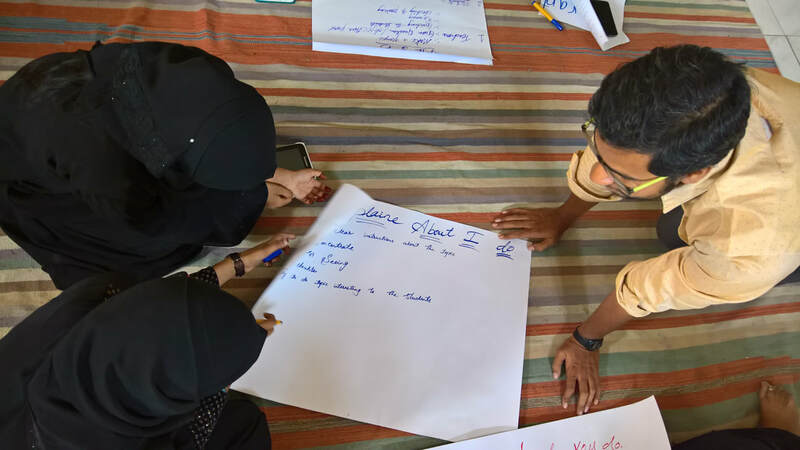 When Vikrant and I started teaching in MA Ideal School, we realized that most of the teachers never had any professional training or up-skill options and hence they taught in class exactly the same way how they were taught as a student. 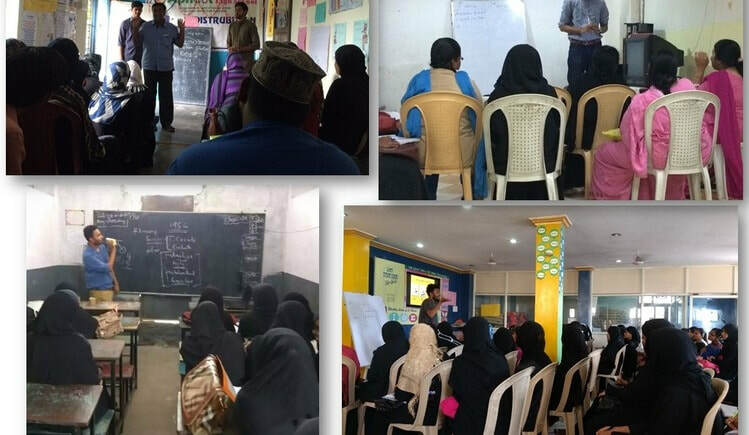 Hence, along with Anwar sir, we started training other teachers in the school. Things were going good, we started noticing some positive changes. But when neither of us could take sessions for couple of months, we saw teachers struggling again. This made us question our assumptions. We then decided- we don't want our teachers to be dependent on others for knowledge and help. We want our teachers to be independent learners who can captain their own ship of development. The question is how do we do it? The answer we found : Technology. 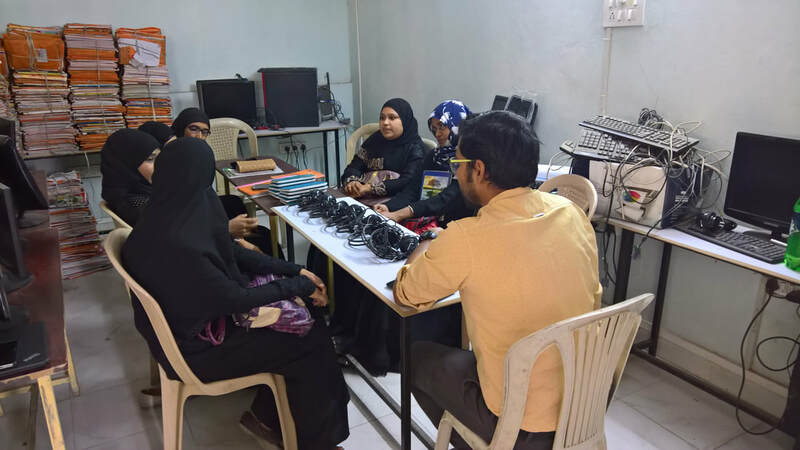 In our latest learning circle on 10th March'18, we decided to make our teachers come up with their own understanding with minimum lecture from us. 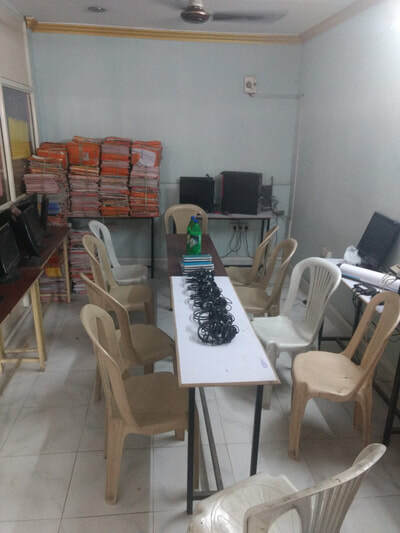 With that aim in mind, we got tabs with internet connection and headphones for each teacher. We put all our content - ppts, videos, sample plans etc on google drive. We then explained the teacher how to use tabs and google drive and gave them freedom to explore on their own. Initially they were a bit overwhelmed but once they got used to the tab, they were engrossed completely. Not only they saw the videos that we suggested, couple of teachers also explored YouTube and saw other related videos. Once they went through all the materials, they discussed among themselves. 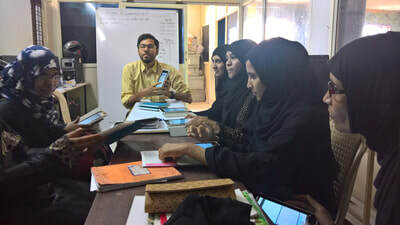 With minimum guidance from us, they collectively came up with an shared understanding of the topic (which was on lesson planning). Then they translated the ideas into writing and made excellent charts explaining the concept. It was really amazing and inspiring to see the teachers work collectively and take ownership of their learning. It has strengthen our believe and made us excited for the road ahead. As Helen Keller famously said "Alone we can do so little; together we can do so much." True indeed ! Loop was started by Vikrant and Md Anwar in June 2016. Ashish and Saahil joined in as other two co-founders in the following year. It was in 2013 that all four of them crossed each other’s path. 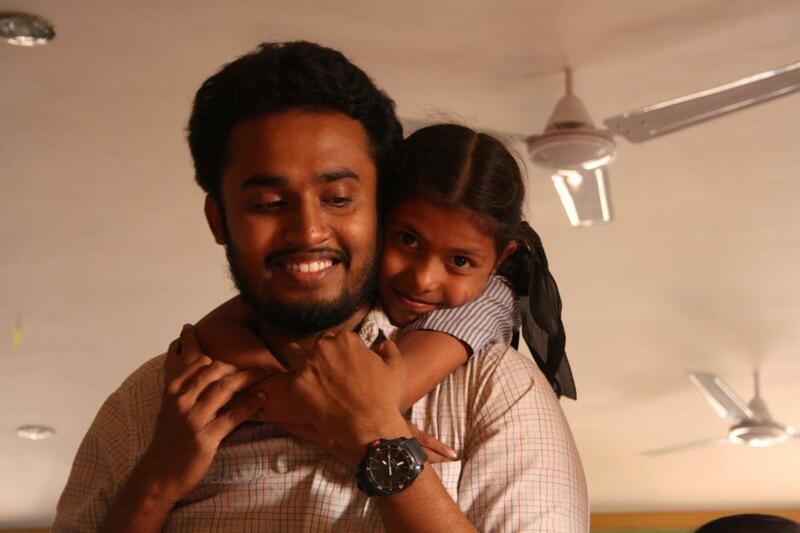 Saahil was the city director of Teach For India(TFI), Hyderabad then. 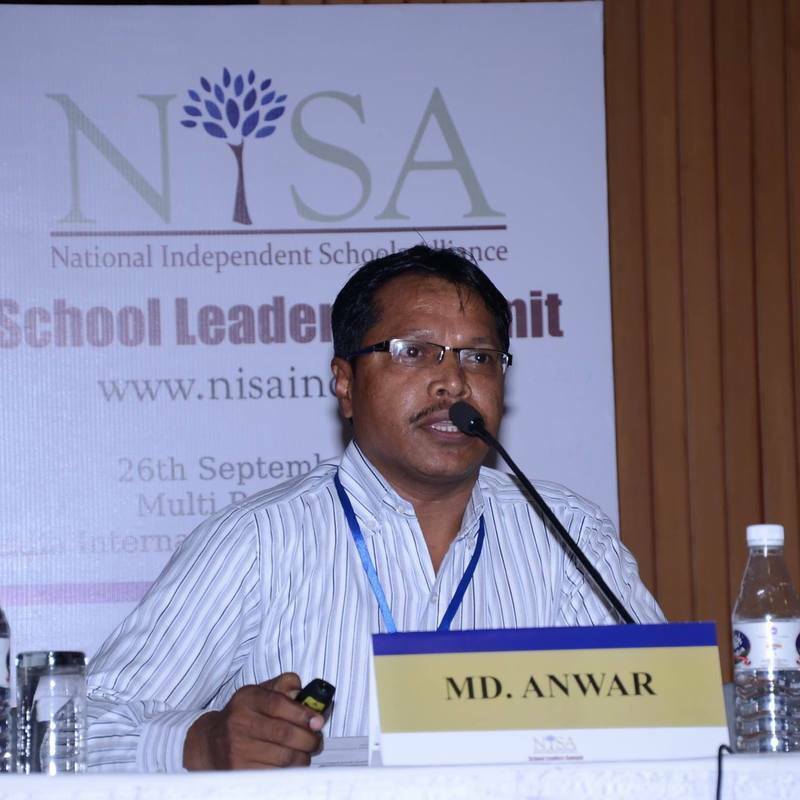 Anwar was running MA Ideal School in one of the most marginalized community of Hyderabad. Both Vikrant and Ashish were teaching here as part of the TFI fellowship. 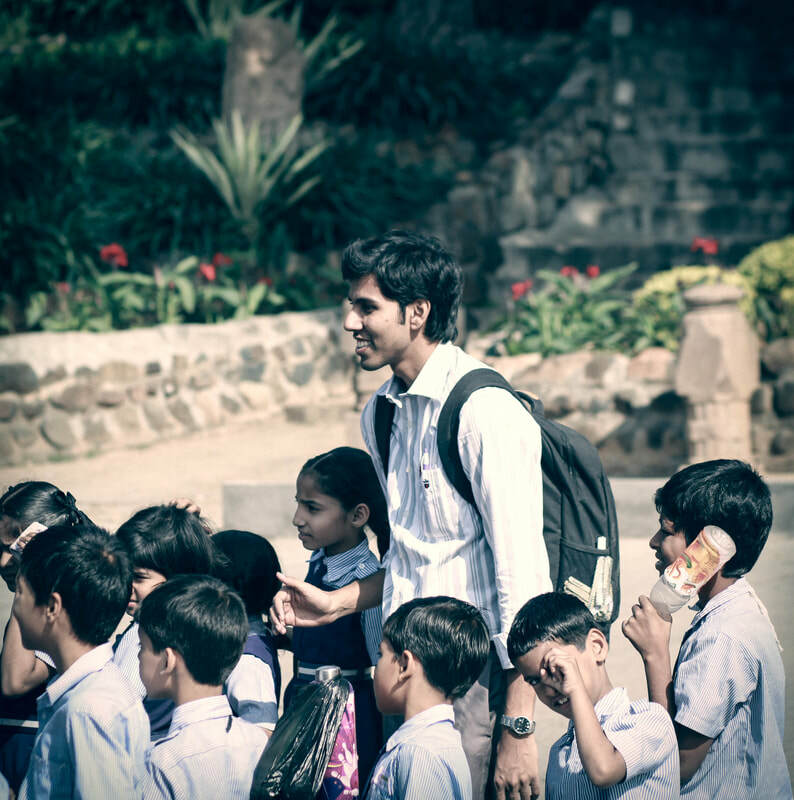 After completing his fellowship, Vikrant joined the school full time in 2014. Driven by Anwar’s vision to provide quality education in the community, they started working on school development. Tapping his 4+ years of banking experience, Vikrant helped Anwar in streamlining processes, setting leadership teams with accountability and training teachers. In next 2 years, the school saw a positive transformation. This inspired other school leaders in the community. But there weren’t any organization whom these school leaders could approach to for support. Hence they approached Vikrant and Anwar to help them out. So, in June 2016, they started working with other schools by training teachers and supporting school leaders. It’s here when Ashish also joined the team. It started off as a project in couple of schools, but gradually as more schools started approaching for support Vikrant and Ashish decided to get involved in it full time. For next one year they supported 160+ teachers across 9 schools. Towards end of the year, they noticed that the desired impact was still not there in spite of the hard-work. Realizing the need for more guidance, the team reached out to Saahil. With time, he became more and more involved and eventually became part of the team. While doing our research during this period, we realized there are very few organizations in India working on school transformation and none in Hyderabad and nearby areas. Hence we decided to create our own organization and got registered as a trust. 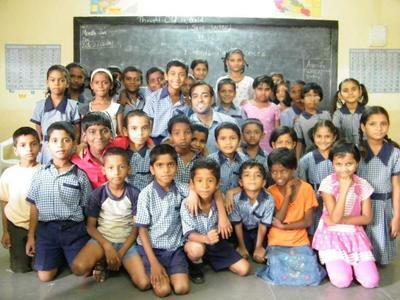 Thus Loop Education Foundation came into formal existence.